Showing results by narrator "Kelly Hancock"
You can live better on less. Much less! In a time of rising prices and economic stress, everyone wants to spend less. But who among us wants to slash our quality of life? Popular blogger and money-saving expert Kelly Hancock has wonderful news for you. In Saving Savvy, you’ll discover practical strategies to stretch your dollars - without spending more time than you can afford. 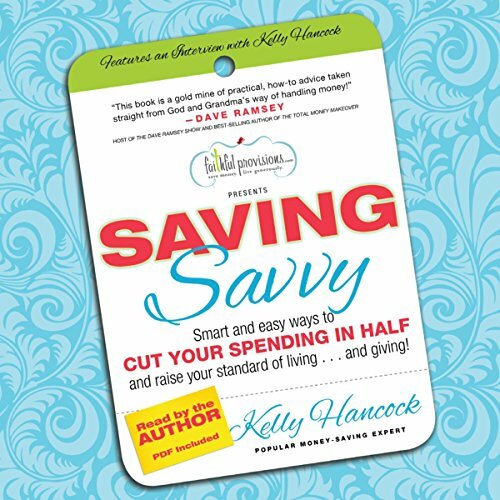 As Kelly takes you step by simple step through the process, you’ll find scores of savvy saving and living generously tips. Good but where is the referenced "pdf"?